Corningware French White 7-piece set. 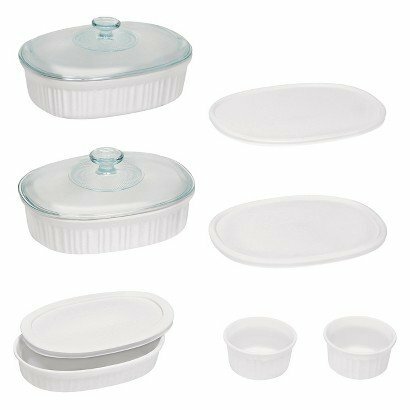 Includes 1-each -1-1/2-quart round dish, 1-each -1/2-quart-glass cover, 1-each 1-1/2-quart-plastic cover, 1-each 2-1/2-quart-round dish, 1-each 2-1/2-quart-glass cover, 1-each 2-1/2-quart-plastic cover, 1-each 16-ounce-round dish. The recipe for a great dish starts, surprisingly, with a great dish! 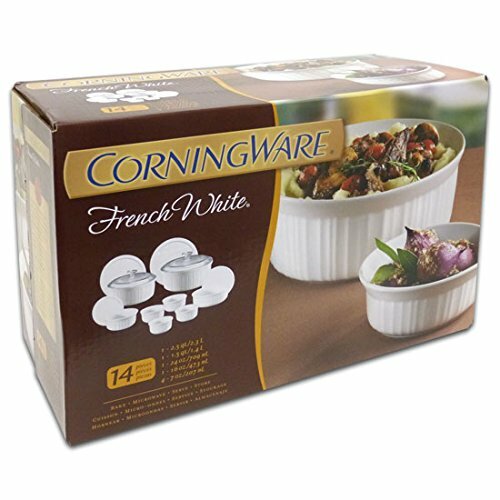 Corningware French White bakeware proves that when it comes to food preparation, few things are more convenient than baking and serving in one dish. 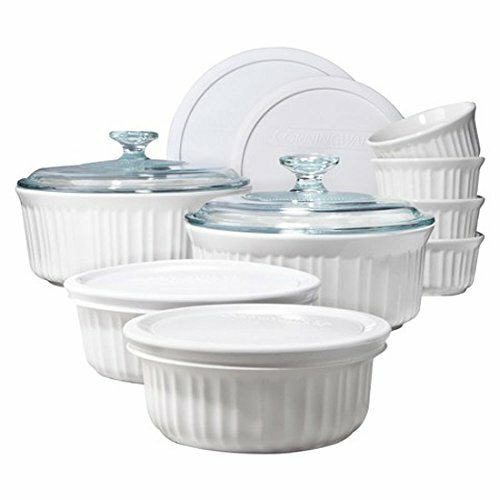 With its classic, fluted design, French White oven-to-table bakeware imparts a traditional elegance that is a perfect complement to any décor. 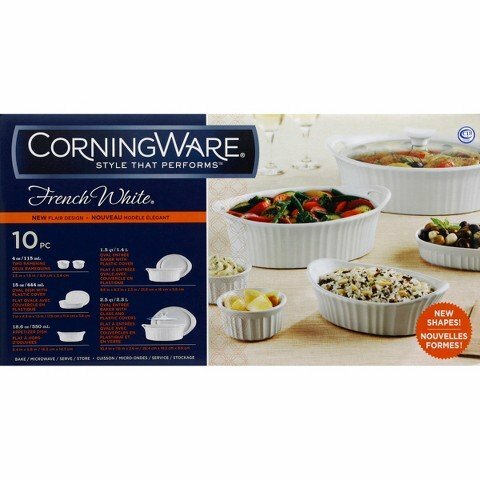 Versatile yet stylish, Corningware French White is simple, from start to finish!